The Honeywell 5818MNL is a recessed wireless door/window transmitter with a magnetic contact sensor that provides concealed protection for doors or windows. It virtually disappears when installed and blends with any décor, making it ideal for applications where aesthetics are critical such as ornate doors, casements and double-hung windows. The 5818mnl has a tapered design and is nearly half the size of standard transmitters. Includes self-contained transmitter and reed sensor. It is intended for use only with alarm systems that support 5800-Series devices. The transmitter is powered by one AAA Lithium (or alkaline) battery that is easily replaced when a low battery condition is indicated by the control panel. In the event of a low batteyr, the Lithium battery is easy to replace. 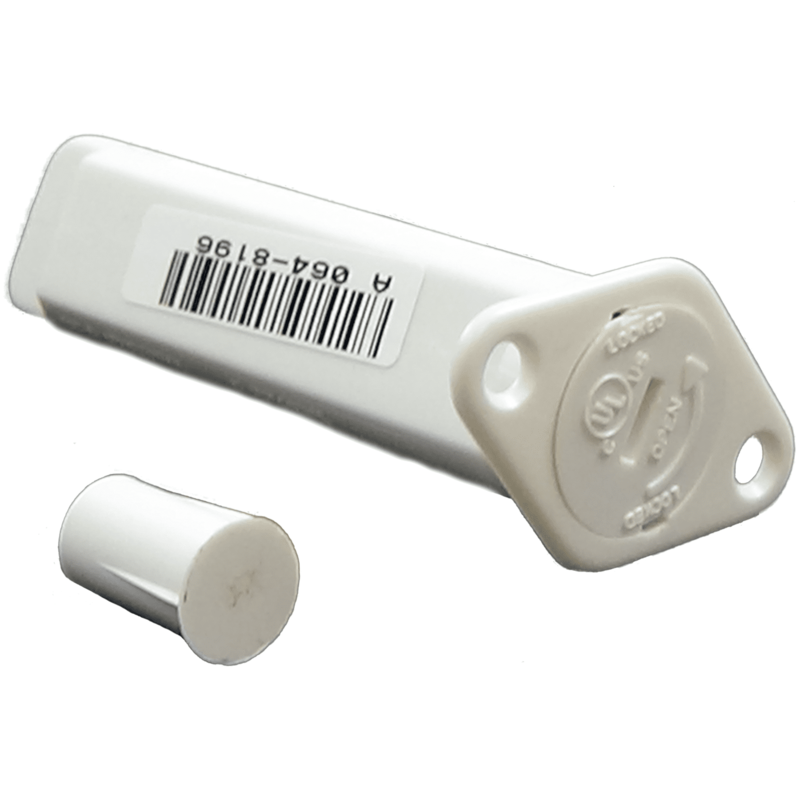 Each 5818MNL has its own unique identification code (serial number) permanently assigned during manufacture and a loop number that must be programmed into a wireless zone in the control. When it senses a fault condition, it will send a fault signal to the control. The unit will not send the restore signal until the physical contact is restored. You must "enroll" the transmitter's serial number in the control panel before it will operate in the system. NOTE: During programming of the control panel, 5818MNL transmitters must be enrolled as Input Type 3 (Supervised RF), Loop 1 (mandatory for UL installations).